Every Premier League fan's dream to win a title for their club can become a reality with the inaugural ePremier League. The ePL will start in January 2019 with the final played in London on 28-29 March, 2019, and broadcast live on Sky Sports and the Premier League's social media channels. "We know that millions of fans play FIFA and this new esports competition will provide our clubs with an exciting opportunity to engage with them. We can’t wait to get started with the opening online rounds in January 2019." Todd Sitrin, SVP and GM of the EA Competitive Gaming Division, said: "The Premier League’s global reach and intensely passionate fanbase pushes EA SPORTS FIFA competition to unprecedented heights as we accelerate esports growth through traditional sports. 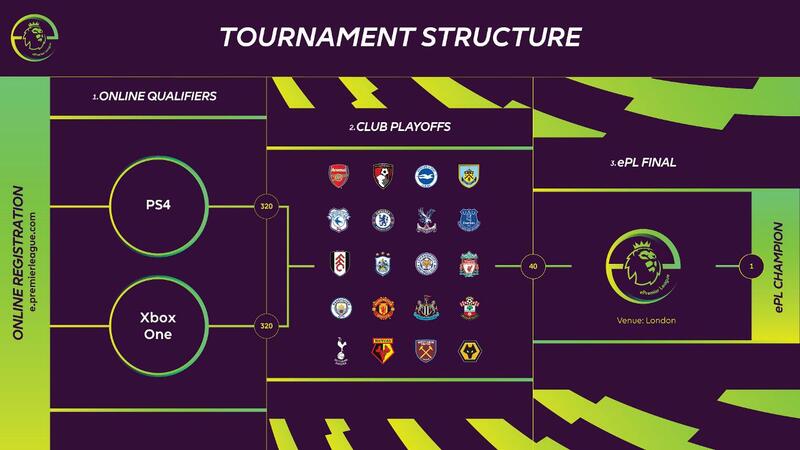 "Through the ePL, this partnership carves a critical path forward in expanding competition not only for players, but for the hundreds of millions watching Premier League games who now can support their club on the virtual and the traditional pitch." "Millions of fans play FIFA and this new esports competition will provide our clubs with an exciting opportunity to engage with them"
"Having the most popular football league in the world commit to competitive gaming in this expansive fashion we believe only accelerates the community’s enthusiasm for both FIFA Competitive Gaming and the Premier League."